Every pike fishing season is different, and it's easy to recall the occasional disaster that could have been avoided. "If only I had done that differently," is the all too common lament. However, those memories act as the driving force to make sure everything is in good order before you set off on another winter adventure. It can be beneficial if you work out exactly what it is you want to achieve. For example, you might want to catch your first ever pike, or, like many, catch a monster pike. Therefore, setting your goals can dictate which style of pike fishing you go for, and most importantly, which venues you choose to fish. As with all aspects of fishing, the waters you fish are a crucial part of the game, and if it’s big pike you’re after, this is arguably the biggest part of the puzzle. There is an old saying that goes: "If the fish you want to catch aren’t there, you won’t catch them!" So taking time to work out what you want to achieve, and where you need to fish can be very worthwhile. Choosing the right venue requires serious preparation, a trip to the local fishing tackle shop, a weekly check on Angling Times, and a good old mooch around the internet can give you invaluable information. 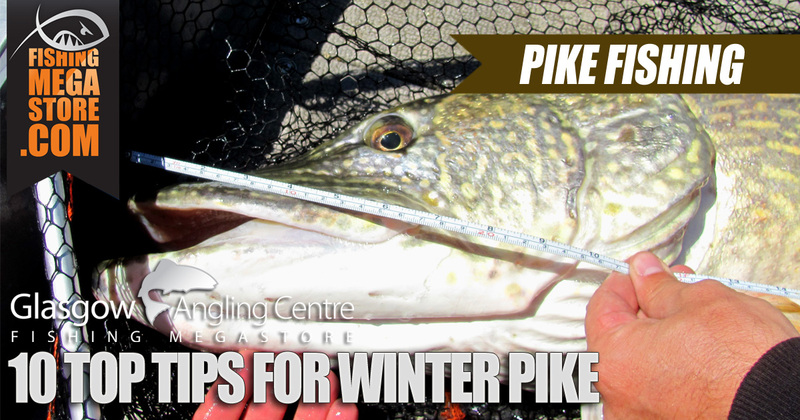 Venue knowledge is critical if you want to catch pike on a regular basis. For example, is the venue very weedy? If so, you need to make sure you have the appropriate kit so you can adapt to the conditions. It’s crucial that you have the right tools for the job, and they work properly. Pike often fight hard, and as they get bigger, they become more and more powerful, so it’s crucial that you use tackle that can cope with the biggest of them. Suitably powerful pike rods are a must if you are lure fishing or deadbaiting. Even though very little can go wrong with a pike rod, it is always worth checking the rod rings for cracks, especially those at the tip. Many pikers transport their rods ready made up, and if you are not careful the rings can chip, causing them to cut through your mainline like a knife through butter. Reliable predator reels are equally as important, so check that they are running smoothly and that the bale arm is working well. If you have a freespool reel make sure the freespool mechanism is running smoothly. Every close season it's worthwhile to carefully unscrew the side panel and oil the internals to ensure they run smoothly. Pike drop off indicators are also regarded as key item because they let you know the instant a pike has picked up your bait. If you use electronic drop-offs, change the batteries every season to ensure they don’t let you down. Check that the run clips are okay and they enable your line to easily pull free. Unnecessary resistance at this point can result in a pike dropping your bait before you even get a chance to strike. Strong, reliable mainline is arguably the most important part of your pike tackle. Today there are no excuses for anglers fishing with poor fishing line. The difficulty is knowing exactly when to change that line before it breaks, potentially resulting in a dead pike. If you prefer monofilament lines, it's strongly recommended that you use a line of 18lb or above in strength, and you change it at the very least once a season. Lines take a serious battering when pike fishing, especially if like many pike anglers you transport your rods around already set-up. Braid is slightly different, and in some respects tougher when it comes to the transportation of rods and general angling use. A lot of top anglers use 60lb braid for all their pike fishing, and generally speaking, this can be changed every three years by turning it around on the spool after each season. Although more expensive than mono, braid works out cheaper in the long run and is very reliable. Pike trace components are also very important, and good strong materials should always be used. Whether you make your own, or buy ready-made kits from a fishing tackle shop, double check your old traces if you are using the same ones from last season. Alternatively, don’t take the risk and buy or make a full set of lure traces. There are a number of tools that you should never go pike fishing without. Long-nosed forceps are an absolute must. Although they appear robust, it is always a good idea to give them a good wash in warm soapy water, and then apply a tiny bit of lubricant to the join to make sure they open and close smoothly. 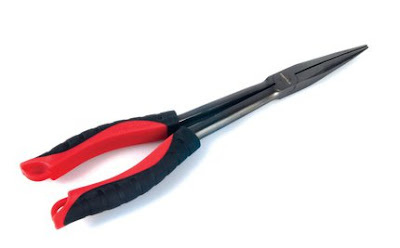 The same applies to long-nosed pliers which are equally important if you are lure fishing. Make sure they have not seized up and are in good working order. Weighing scales are another accessory that needs to work properly, especially if you are a stickler for your pounds and ounces. You will never go far wrong with Reuben Heaton Scales! Stock up in advance. At fishingmegastore, we sell a wide variety of frozen baits which can be bought in bulk. This can save you a lot of time and can work out much cheaper than a weekly visit to the supermarket. 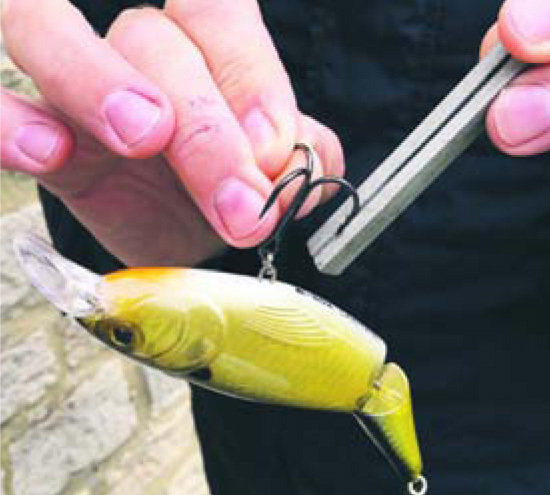 If you have a collection of pike lures, now is the time to check all the hooks to ensure they are as sharp as can be. Buy a small hook sharpener and take time to work any suspect points. 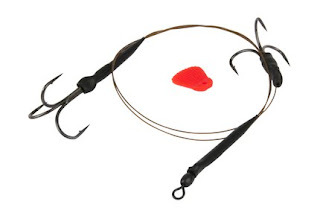 Don’t leave anything to chance, because a blunt treble hook can cost you that fish of a lifetime. Having a large landing net is important, especially if you are in with a chance of catching big pike. Not only should your net be wide enough to take the biggest fish, but it's also recommended that you use a deep mesh landing net, so that it is difficult for the fish to escape as you leave it to rest prior to unhooking. Better still, if the mesh if fish friendly, this will minimise any damage to the fish. 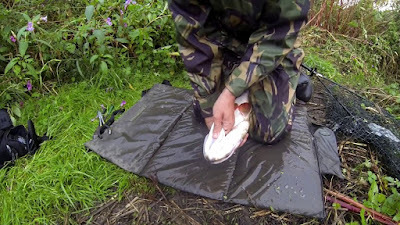 It's also very important that you use a large unhooking mat for unhooking and taking photographs. 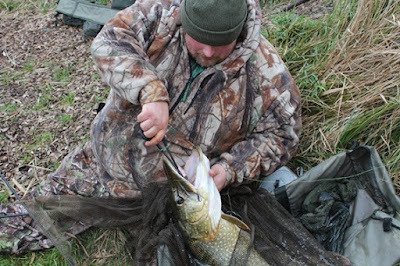 A feisty pike can be a handful on the bank, and it’s important that if it thrashes about, it is protected at all times. It is worth carrying a pike retention tube with you, just in case a fish is struggling to go back safely. There are occasions, especially early in the season, when the water might still be relatively warm and pike can struggle to go back unassisted. However, some find that putting a fish in a tube and making sure it stays upright, is the best way for them to recover. It is always worth checking anything that runs on batteries. Camera equipment, bite alarms, head torch, radio, and your mobile phone. There is nothing worse than finding out that batteries have lost charge on your first trip out. This is one of the most important aspects of pike fishing. Let’s face it, there are usually two factors that will send us home early; one is hunger, and the second is feeling cold or wet. There are many great suits on the market to keep you warm and dry in even the worst of conditions. However there are three additional items that will make the experience even more comfortable. A base layer will help to retain body heat under your usual fleece and jacket. A base layer is perfect for the coldest of days. A thick neck warmer keeps all of the drafts from your top section and holds in a lot of your body heat. Finally, a good quality pair of wellington boots or waders that are lined, comfortable, and very easy to walk long distances are a must! So if you want to avert any disasters during the winter pike season, it's important to prepare your equipment so that it's in good working order. You never know what size of fish you will catch, therefore, having all the essential kit will help to minimise damage to the fish.